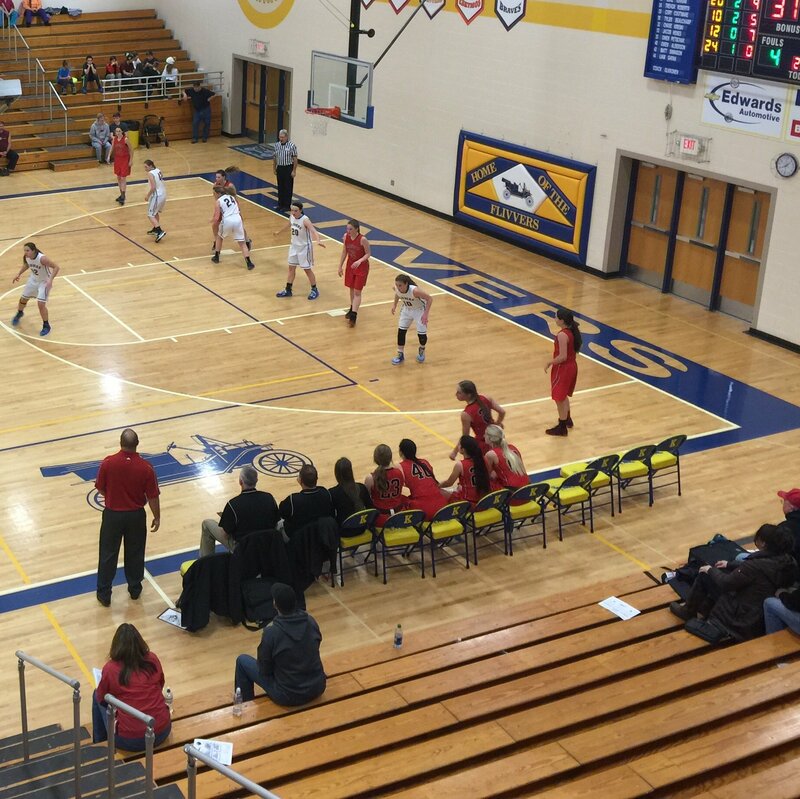 Kingsford, MI – January 9th, 2017 – The Marquette Redettes looked to be up against a tough Kingsford Flivers team as Kingsford got onto the scoreboard first thanks to a free throw. Marquette answered right back, and they soon found themselves with a three point lead. It was a back and forth first quarter, but the Redettes managed to pull out a slight lead, 13-10, with just over a minute left in the first quarter. Coming off a slight lead from the first quarter, the Marquette Redettes were engaged in a tough battle with the Kingsford Flivers. One minute into the second, Amber Hubner scored her sixth point of the game on a jump shot, and that helped the Redettes maintain their lead. The Redettes were having to play some amazing defense in order to hold off the Flivers, but they were working together as a team to hold Kingsford off as the quarter passed the three minute mark. 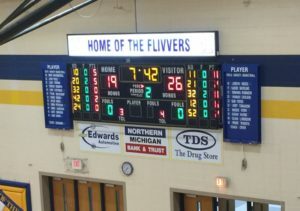 With just under :30 seconds left in the first half, the Redettes continued to pull away from the Flivers, and they would hold the advantage going into halftime. It was a great first half of play for the Marquette Redettes, as they held a seven point lead entering the third quarter. 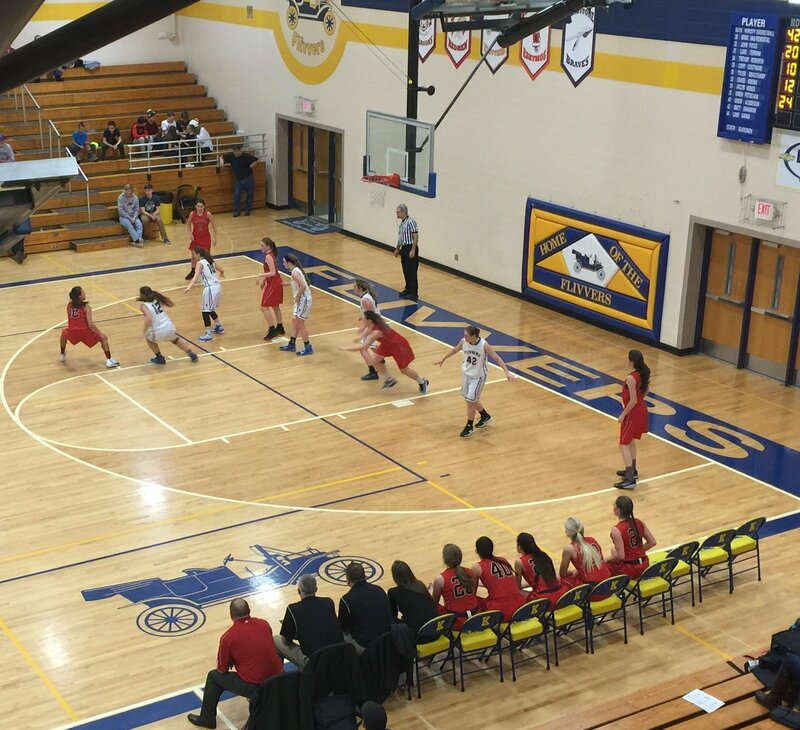 The Redettes stepped-up their game on defense, and that allowed them to stay on top of the Flivers for the first half of the third quarter. 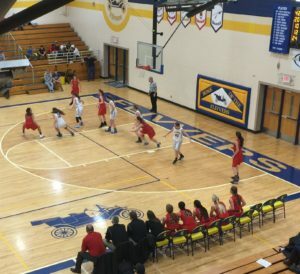 Amber Hubner continued to have an excellent game, running the Marquette offense with skill and precision as Marquette entered the final quarter with a nearly 10-point lead. 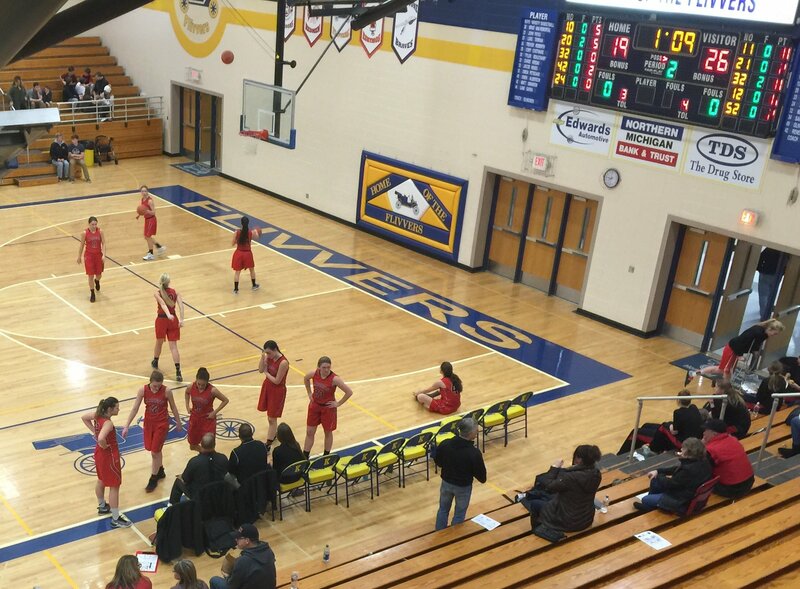 There was only one quarter left as the Marquette Redettes took on the Kingsford Flivers, and even though they held a nearly 10-point advantage, one quarter was more than enough to make a comeback. Kingsford gave Marquette a good scare midway through the fourth when they blocked what looked to be a sure shot for the Redettes and took it end to end, bringing the Redettes’ lead back down to nine. 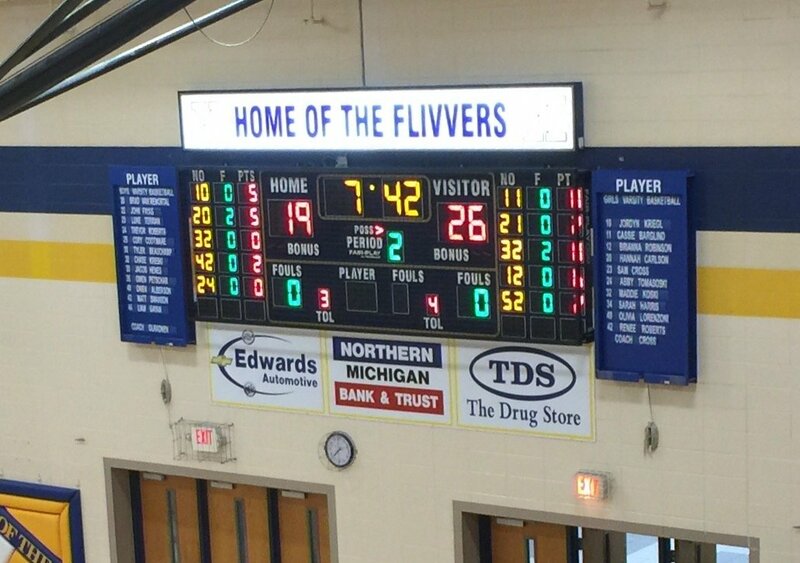 However, that didn’t stop Marquette, and as the final quarter wound down, they added to their lead.